Tonight, I had the sad and solemn duty to announce publicly the passing of my friend Thomas Gad. I’m still waiting for someone to come out and tell me that I have been severely pranked. Thomas was the founder of what we now call Medinge Group. After working for 17 years at Grey Advertising as an international creative director, Thomas set up Brandflight, a leading branding consultancy HQed in Stockholm. He authored 4-D Branding, Managing Brand Me (with his wife, Annette Rosencreutz), and, most recently, Customer Experience Branding. In 2000, Thomas seized on an idea: why not gather a bunch of leading brand practitioners at Annette’s family’s villa at Medinge, three hours west of Stockholm, for a bit of R&R, where they could all discuss ideas around the profession? I came on the scene in 2002, invited by Chris Macrae. The event had become international the year before. Thomas and Annette made me feel incredibly at home at Medinge, and we had an incredibly productive meeting. He had taught me to sing ‘Helan går’, for no Swedish gathering is complete without a drinking song. At the same meeting, I met Ian Ryder, who wrote, ‘As a founding member, and now Honorary Life Member, of Medinge Group I couldn’t possibly let such a sad announcement pass without observation. Thomas was a really bright, intellectually and socially, human being who I first met at the inaugural pre-Medinge group meeting in Amsterdam sixteen years ago. Little did we know then that our band of open-minded, globally experienced brand experts would develop into a superb think-tank based out of Thomas’s home in Medinge, Sweden. By the end of the summer 2002 meeting we had some principles around branding, the idea for a book (which became Beyond Branding), and a desire to formalize ourselves into an organization. The meeting at Medinge would soon become the Medinge Group (the definite article was part of our original name), and we had come to represent brands with a conscience: the idea that brands could do good, and that business could be humane and humanistic. This came about in an environment of real change: Enron, which had been given awards for supposedly doing good, had been exposed as fraudulent; there was a generation of media-savvy young people who could see through the BS and were voting and buying based on causes they supported; and inequality was on the rise, something that the late Economist editor, Norman Macrae (Chris’s Dad) even then called humankind’s most pressing concern. If everything is a product of its time, then that was true of us; and the issues that we care about the most are still with us, and changes to the way we do business are needed more now than ever. 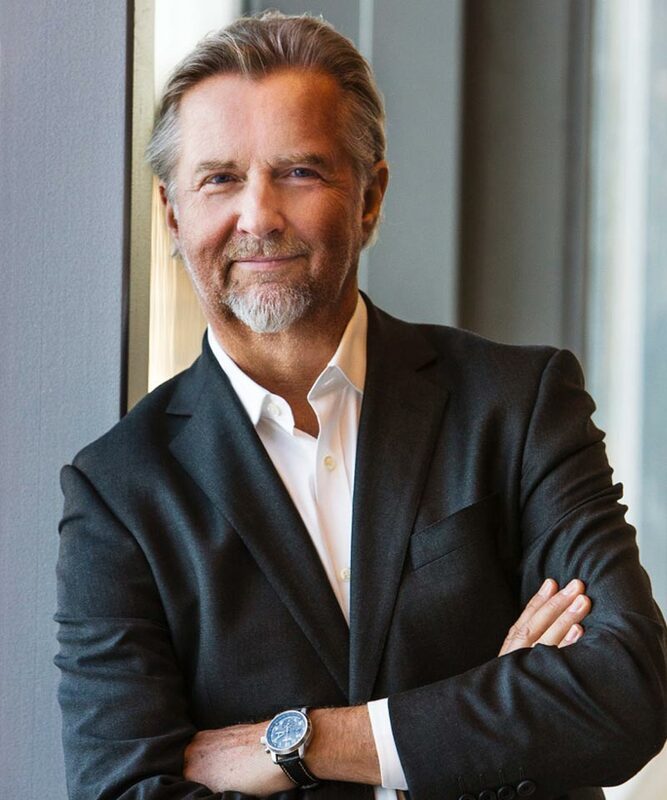 This is Thomas’s legacy: Medinge Group is an incorporated company with far more members worldwide, holding two meetings per annum: the annual summer retreat in Sweden, and a public event every spring, with the next in Sevilla. The public events, and the Brands with a Conscience awards held in the 2000s, came about during Stanley Moss’s time as CEO. Stanley wrote this morning, ‘Thomas brought his vision and resources to the foundation of Medinge, and served as a critical voice in the international movement for humanistic brands.’ We continue today to spread that vision. We have now been robbed far too early of two of our talents: Colin Morley, in the 7-7 bombings in London in 2005; and, now, Thomas, taken by cancer at age 65. My thoughts go to Annette and to the entire family. The below ran in Lucire today, though it is equally suited to the readers of this blog. This Facebook status only scratches the surface of my admiration for Vignelli. There have been more comprehensive obits already (Fast Company Design rightly called him ‘one of the greatest 20th century designers’), detailing his work notably for the New York subway map, and—curiously to me—glossing over the effect he had on corporate design, especially in the US. Vignelli, and his wife Lella, a designer in her own right and a qualified architect, set up the Vignelli Office of Design and Architecture in Milano in 1960, which had clients including Pirelli and Olivetti. In 1965, they moved to New York and Vignelli co-founded Unimark International (with Ralph Eckerstrom, James Fogelman, Wally Gutches, Larry Klein, and Bob Noorda), where he was design director. It was the world’s largest design and marketing firm till its closure in 1977. The 1960s were a great time for Vignelli and his corporate identities. He worked on American Airlines, Ford, Knoll, and J. C. Penney, and the work was strictly modernist, often employing Helvetica as the typeface family. Vignelli was known to have stuck with six families for most his work—Bodoni was another, a type family based around geometry that, on the surface, tied in to his modernist, logical approach. However, there were underlying reasons, including his belief that Helvetica had an ideal ratio between upper- and lowercase letters, with short ascenders and descenders, lending itself to what he considered classic proportions. The 1989 WTC Our Bodoni, created under Vignelli’s direction by Tom Carnase and commissioned by Bert di Pamphilis, adheres to the same proportions. Although my own typeface design background means that I could not adhere to six, there is something to be said for employing a logical approach to design. American corporate design went through a “cleaning up” in the 1960s, with a brighter, bolder sensibility. Detractors might accuse it of being stark, the Helveticization of American design making things too standard. Yet through the 1970s the influence remained, and to my young eyes that decade, this was how professional design should look, contrary to the low-budget work plaguing newspapers and books that I saw as I arrived in the occident. When the Vignellis left Unimark to set up Vignelli Associates in 1971 (and later Vignelli Designs in 1978), their stamp remained. The MTA launched Vignelli’s subway map the following year, and like the London Underground map by Harry Beck in 1931, it ignored what was above ground in favour of a logical diagram with the stops. Beck was a technical draftsman and the approach must have found favour with Vignelli, just as it did with those creating maps for the Paris Métropolitain and the Berlin U-bahn. New Yorkers didn’t take to the Vignelli map as well as Londoners and Parisians, and it was replaced in 1979 with one that was more geographically accurate to what was above ground. In 1973, Vignelli worked on the identity for Bloomingdale’s, and his work endures: the Big Brown Bag is his work, and it continues to be used by the chain today. Cinzano, Lancia and others continue with Vignelli’s designs. Ironically, despite a rejection of fashion in favour of timelessness, some of the work is identified with the 1960s and 1970s, notably thanks to the original cut of Helvetica, which has only recently been revived (a more modern cut is commonplace), and which is slightly less popular today. Others, benefiting from more modern layout programs and photography, look current to 2010s eyes, such as Vignelli Associates’ work for the Museum of Fine Arts, Houston. The approach taken by Lucire in its print editions has a sense of modernism that has a direct Vignelli influence, including the use of related typeface families since we went to retail print editions in 2004. Our logotype itself, dating from 1997, has the sort of simplicity that I believe Vignelli would have approved of. Vignelli was, fortunately, fêted during his lifetime. He received the Compasso d’Oro from ADI twice (1964 and 1998), the AIGA Gold Medal (1983), the Presidential Design Award (1985), the Honorary Royal Designer for Industry Award from the Royal Society of Arts (1996), the National Lifetime Achievement Award from the Cooper–Hewitt National Museum of Design (2003), among many. He holds honorary doctorates from seven institutions, including the Rochester Institute of Technology (2002). 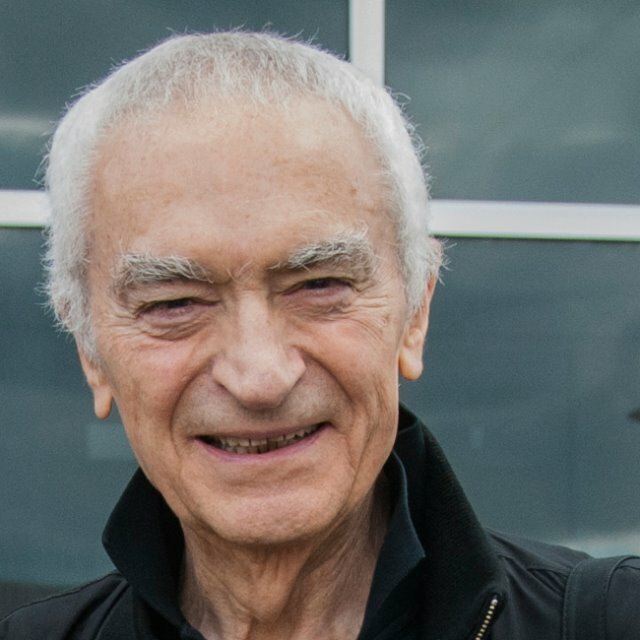 Rochester has a Vignelli Center for Design Studies, whose website adheres to his design principles and where educational programmes espouse his modernist approach. It also houses the Vignellis’ professional archive. He is survived by his wife, Lella, who continues to work as CEO of Vignelli Associates and president of Vignelli Designs; their son, Luca, their daughter, Valentina Vignelli Zimmer, and three grandchildren. The Medinge Group has announced the 2010 Brands with a Conscience winners, and we’ll be presenting the awards at the end of the month in Paris. The release is below. Can you believe we’ve done this for seven years now? I was particularly stoked about the awards going to Selco and Muna Abu Sulayman (right), so much so that I ensured news of her Colin Morley Award appeared at Lucire soon after it went up on the Medinge site. The Medinge Group (www.medinge.org), an international think-tank on branding and business, today releases its seventh annual Brands with a Conscience list. In the Group’s opinion, these diverse organizations show that it is possible for brands to succeed as they contribute to the betterment of society by sustainable, socially responsible and humanistic behaviour. Three years ago the group added a unique category commendation, the Colin Morley Award, recognizing exceptional achievement by an individual or NGO. Mr Morley, a member of the Medinge Group, died in the London Underground bombings on July 7, 2005. The award commemorates his visionary work in humanistic branding. A young Asian brand built on the idea that it must exist as an experience to elevate their own or other people’s level of happiness. Jack Ma founded Alibaba in his cramped apartment with 17 colleagues. A decade later, Alibaba Group is the largest ecommerce company in China, with 15,000 employees and more than 100 million users. It also has a B2B unit with a community of more than 42 million registered users from more than 240 countries and regions. This year Alibaba will unveil partnership plans for Grameen China, a project to signiﬁcantly increase access to micro-credit for poverty alleviation in Sichuan and Inner Mongolia. (Medinge named Grameen Telecom a Brand with a Conscience in 2005, and its parent Grameen Bank was awarded a Nobel Prize in 2008.) Employing the Grameen Bank microcredit model, the group hopes to impact more than 72,000 lives in its ﬁrst ﬁve years. Ava Hakim, IBM exec and member of the Medinge Group, remarked that Alibaba is a business ‘built on trust, one which respects intellectual property rights and will remove sites which infringe upon the rights of others.’ She also was impressed by the six core values named, which they have successfully applied to their business. The Co-op, founded in 1872, from its origins has focused on serving local communities. Today the Co-op is the only UK clearing bank to publish an ethical statement. Medinge director Patrick Harris lauded the brand, noting that ‘since 1992 Co-op has been building its ethical stance by asking its membership to vote on issues such as animal welfare, human rights and ecological impact.’ It claims to have turned away over £900 million in loans to businesses not in keeping with the Co-op Ethical Policy. The commitment to improve their food business’ ethical and environmental performance is in line with expectations arrived at in consultation with 100,000 members. Co-Op was double-nominated this year, for both its banking and food businesses. In her nomination, Medinge director Erika Ufﬁndell emphasized the focused approach to climate change, waste and sustainability that Marks & Spencer have adopted. With their Plan A campaign, the company established 100 commitments to achieve in ﬁve years, clear targets for their business, actionable by people across the group. Ufﬁndell ﬁnds the brand very accessible and involving: they have engaged 17,231 customers in making pledges to support climate change and a commitment to sustainability. Merci is a 1500 m² shop for fashion and home furniture based in Paris, France. All sales proﬁts are destined for women and children in Madagascar. The store sells new or artist-reworked donated goods and has had a huge impact. Some goods are sent directly to Madagascar. Merci’s website is especially minimal and modest, yet effectively states the store’s mission. In his nomination, Medinge’s Philippe Mihailovich expressed the hope that Merci’s actions inﬂuence others to follow. This Swiss-based private bank started in 1805. Medinge director Nicholas Ind cited two signiﬁcant aspects of the brand. First, its focus on sustainable development and the redirection of funds in this direction by encouraging the maximum investment in sustainable areas for a given risk: the bank’s management of a water fund, launched in 2000, which has become the world’s largest of its kind, with over €4 billion in assets; and a Clean Energy fund. The second aspect is the Prix Pictet—the world’s ﬁrst international prize dedicated to photography and sustainability—mandated to encourage the use and power of photography to communicate vital messages to a global audience. This year’s theme is Earth. Today, many B2Bs are silently doing a fantastic job to adapt to our global challenges. Medinge’s chairman Thomas Gad nominated Germany’s SAP, a software company whom he admires because ‘they actually help other companies to create usable metrics in their CSR and sustainability.’ Over the past 10 years, SAP has been recognized by the Dow Jones Sustainability Index for upholding ethical, environmental, social, and governance values in products and services. Medinge CEO Stanley Moss described Selco as an interesting small business, 14 years old, who supply solar power solutions, mostly in the Indian states of Tamil Nadu and Karnataka. They rely on microﬁnance loans, employ 140 people, and have done around 100,000 installations of small to large size. They are partially funded by Grameen. Moss was impressed by their cradle-to-grave attitude about product, longevity in the marketplace after a tough start-up, good work on the individual level, private ownership, and the understanding of need for innovation. Simon Nicholls, a member of Medinge, nominated Muna Abu Sulayman, who receives 2010’s Colin Morley Award, for excellence by an individual or NGO, acknowledging their contribution to the betterment of society through sustainable, socially responsible and humanistic behaviour. In giving this award, the Medinge Group recognizes Muna’s outstanding work in educational development, poverty alleviation and strategic philanthropy; as Executive Director of the Alwaleed Bin Talal Foundation, developing and implementing operations for humanitarian assistance across the globe; her role as the ﬁrst woman in Saudi Arabia to be appointed by the United Nations Development Programme as a Goodwill Ambassador; and for exceptional reporting as co-host on popular MBC-TV social programme Kalam Nawaem, in particular her advocacy of rights for women. As a public and media personality, she speaks about issues relating to Arab society, media, building bridges of understanding between east and west. Since 1997, Ms Abu Sulayman has served as lecturer on American literature at King Saud University in Saudi Arabia. She frequently appears as a panelist at the Davos World Economic Forum, Jewish Economic Forum, C-100 of the World Economic Forum, Brookings Institute Conferences and other venues. Jack Yan, a director of Medinge said, ‘Again, the Medinge Group’s international inﬂuence has resulted in a global list of winners, all of which practise our ideals of humanistic branding. I’m thrilled we’ve recognized our ﬁrst Chinese and Saudi Arabian winners this year. Medinge Group member Ava Maria Hakim commented, ‘The message to the world—and Alibaba’s 100 million users—is that China’s Alibaba Group has set a global brand and business benchmark that goes beyond corporate social responsibility to building an integrity-based business driven by long-term vision. Alibaba Group is a Brand with a Conscience of the future.